I was watching a recent Winnipeg Jets game when I was reminded about the #1 characteristic of a great teammate. Connor Hellebuyck was anointed as the starting goaltender for the Winnipeg Jets this year. He had a great season in the AHL last year. He had all of the great reviews as he moved through the various levels of hockey. 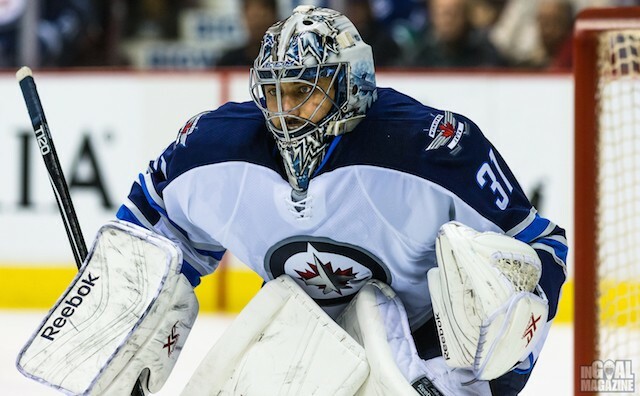 The Winnipeg Jets had grown tired of Andrej Pavelec and his inconsistent play over the last few years. With Pavelec’s contract expiring at the end of this year, the writing was on the wall that a switch was going to be made sooner or later. But we saw play from Hellebuyck that was very similar to Pavelec. Inconsistent, with a bad goal given up almost every night. Both goalies also had pure gems of games that could get you hoping of what the future could hold. But when Hellebuyck got pulled in three straight games in January, you saw a difference between the two goalies. And then when Pavelec came up to the big club and started three straight games and won you again saw the difference. Various radio shows called it something different – ‘timely saves’ was the term most commonly used. Whatever the term, Pavelec may give up the bad goal, but then didn’t give up the next goal. He fought through the shots and kept his team in the game. And his team knew that Pavelec would fight to prevent the next goal and keep them in the game. We was a fighter and it was hard to get the ‘next’ goal on him. Ondrej Pavelec has Resiliency that Connor Hellebuyck doesn’t have yet. The Winnipeg Jets players know that and due to that, they play better in front of Pavelec because it gives them confidence to play their game. They don’t need to worry about making a bad play, because Pavelec will overcome it if it happens. It is a larger worry making a mistake in front of a goalie where it may open the floodgates. Because of that you hold your stick a bit tighter and ironically make more mistakes. Resiliency is the #1 characteristic of a great teammate. That trait in a teammate that they are resolute, plucky, committed, able to rebound and recover. We all make mistakes, but those people who take a shot, dust themselves off and stand tall are the special teammates we all want on our team. Give me a resilient craftsman over a fragile artisan every day. Another example of Pavelec’s Resiliency is how he took his demotion with class and professionalism. Resilient teammates accept decisions made for the good of the team, confident in their abilities and committed to rebounding and proving themselves when the opportunity arises. I hope Connor Hellebuyck can build these characteristics. But until then, I’d start Pavelec.